McLaren Automotive will attend the Geneva Motor Show for the fourth time this year with its largest ever stand in a new location, showcasing the largest range of models from the full three-tier model line-up. Among the headlines, McLaren Special Operations (MSO) will pay a carbon fibre tribute to the McLaren P1™ which recently ceased production. MSO has also created a bespoke version of the 675LT Spider which makes its first public appearance at the show after selling out in weeks. They will line up alongside the recently-confirmed 650S GT3 racing car and a still-to-be-announced addition to the Sports Series family on Stand 6040, Hall 6. It will be the largest motor show presence of McLaren to date, underlining the growth of the proudly independent British sports car brand. The latest customer project completed by the team at McLaren Special Operations, through its MSO Bespoke division, showcases the craftsmanship and levels of tailoring available to all McLaren owners. 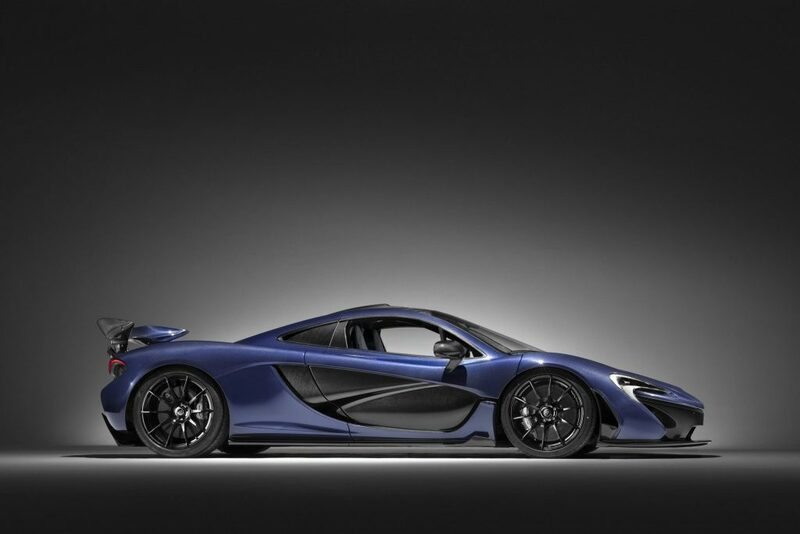 The McLaren P1™ by MSO, one of the 375 road legal versions produced, is presented with a full visual carbon fibre body which has been hand-laid, with a bespoke ‘Lio Blue’ tinted lacquer. 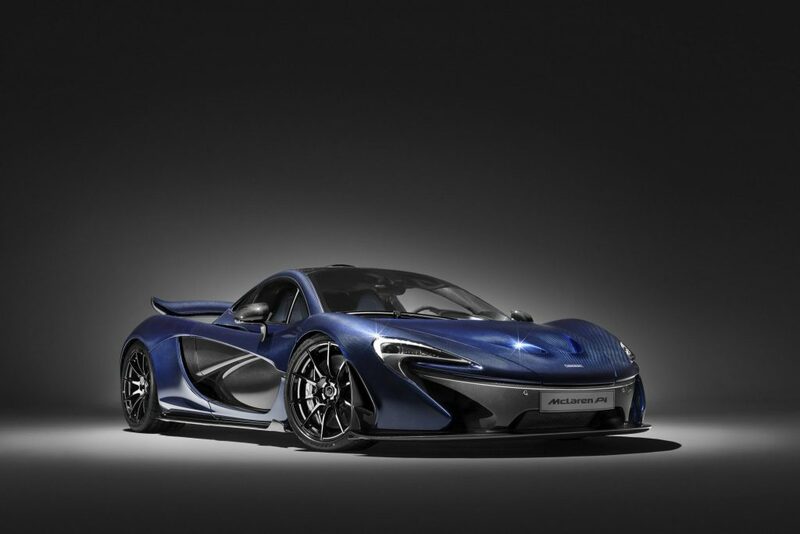 The Geneva Motor Show marks the first time the full visual carbon fibre body conversion has been displayed publicly after it was made available to McLaren P1™ customers earlier this year. Other key upgrades completed by MSO include a gloss black finish to the wheels, an extensive retrim of the interior with carbon black Alcantara® and contrasting blue stitching, and a 24-carat gold exhaust heatshield in a homage to the McLaren F1. Making its public debut at the Geneva Motor Show, the 675LT Spider is limited to only 500 examples worldwide, with each model already accounted for. The team at MSO has developed a one-off example of the track-honed Spider finished in Ceramic Grey from the MSO Defined range with even greater levels of carbon fibre than the standard model. The satin carbon fibre retractable hardtop and tonneau can be operated at speeds up to 40km/h (25mph) and saves 1kg, while the front wings include carbon fibre louvres. 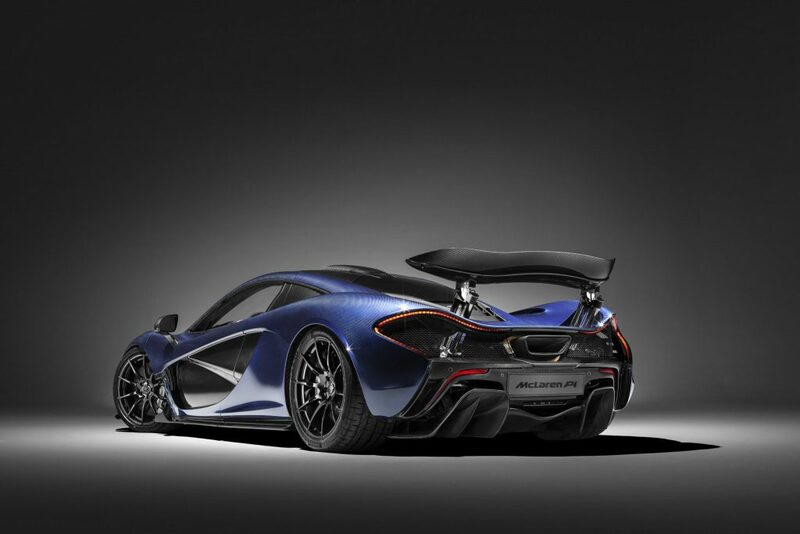 The ‘Longtail’ Airbrake is finished in body colour on the upper surface with the lower plane shows the natural carbon fibre weave, while the aerodynamic front bumper end plates, side skirts, side intakes and rear bumper are also finished in visual carbon. A pair of black Alcantara® trimmed racing seats include contrasting Xenon Yellow contrast stitch with the rotary Handling and Powertrain controls on the Active Dynamics Panel finished in Solis, a unique colour to the 675LT Spider. The gold detailing is also visible through the exposed engine bay with a 24-carat gold heatshield around the titanium exhaust system. 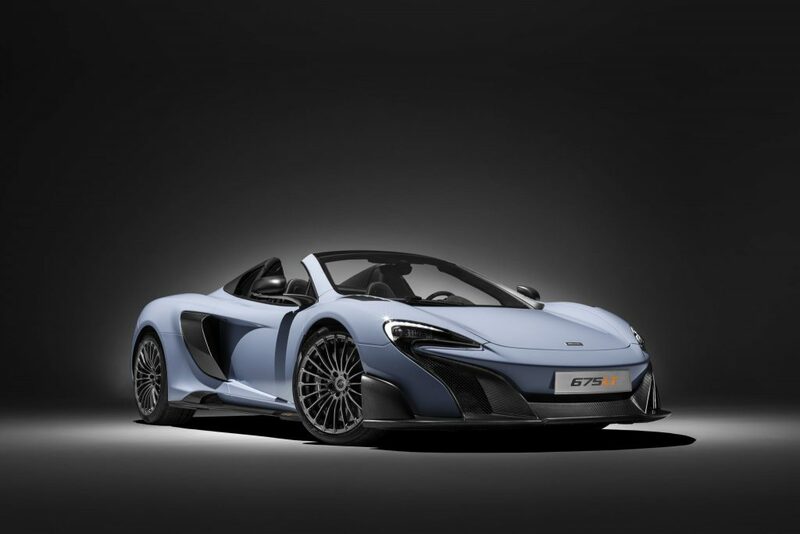 Performance for the 675LT Spider by MSO remains unchanged, with the 3.8-litre twin turbo V8 engine generating 675PS (666bhp) and 700Nm (516lb ft) of torque. 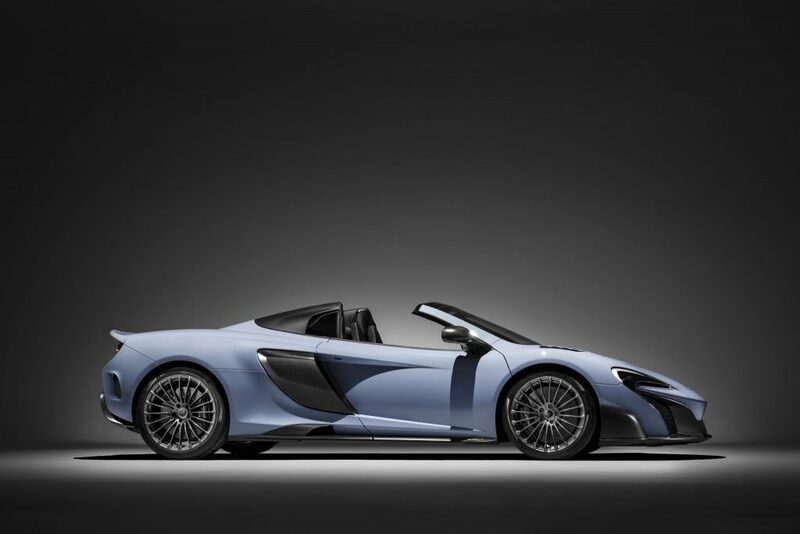 These figures accelerate the 675LT Spider from zero to 100km/h (62mph) in 2.9 seconds, zero to 200km/h (124mph) in 8.1 seconds and on to a top speed of 326km/h (204mph).